What is your point/thesis? What are your topic sentences? How can infographics help you better make the point? This website provides tools and ideas for creating infographics, and for using them in the classroom. An effective infographic is a visually attractive combination of text and images that makes information more interesting and easier to understand. Why should you use infographics to convey information? These two videos give some great examples of how data visualization helps us understand complex topics. 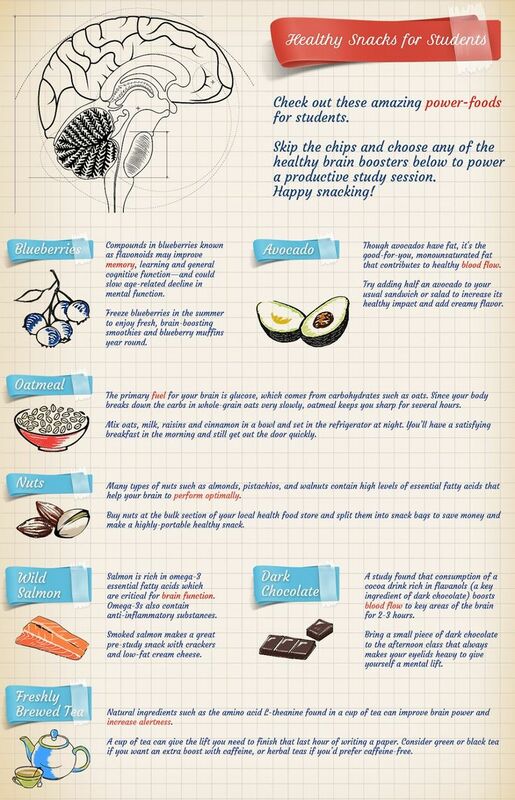 Need some inspiration for creating your own infographics? Try browsing these collections. Or, use Google Images to search for any topic that interests you, and include the word infographics in your search (e.g., infographics and college students, infographics and social media, or infographics and health). You don't have to be a graphic artist or web designer to create your own infographics. Here are some free tools you can use. Most offer the option of adding premium features for a fee (and may also offer discounts and special tools for educators). 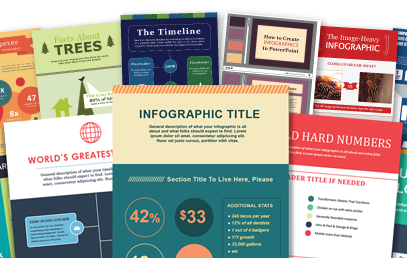 Download these free templates to create infographics in PowerPoint. There are many sources for copyright-free images to use in your infographics. Here are just a few. Not sure if you can legally use that photo you found on the web? There's an infographic for that. Infographics are especially useful for visualizing data and statistical information. Here's where to find some. Internationally comparable statistics on economic, social, and environmental issues for 35 countries that work together to promote economic growth and sustainable development. Data on the people and economy of the United States. Global development data on a wide range of indicators such as agriculture & rural development, climate change, education, health, infrastructure, trade, etc. The most recent health statistics for the World Health Organization's 194 Member States. Here are more free tools for visualizing information and creating content for your infographics. Specify how others may use your original infographic creations. Create mind maps and organizational charts. Create online posters and flyers. Create interactive images and videos. Contact a librarian at your campus for assistance with these and other books and ebooks. Transform your marketing efforts through the power of visual content In today's fast-paced environment, you must communicate your message in a concise and engaging way that sets it apart from the noise. Visual content--such as infographics and data visualization--can accomplish this. With DIY functionality, Infographics: The Power of Visual Storytelling will teach you how to find stories in your data, and how to visually communicate and share them with your audience for maximum impact. Infographics will show you the vast potential to using the communication medium as a marketing tool by creating informative and shareable infographic content. Learn how to explain an object, idea, or process using strong illustration that captures interest and provides instant clarity Discover how to unlock interesting stories (in previously buried or boring data) and turn them into visual communications that will help build brands and increase sales Use the power of visual content to communicate with and engage your audience, capture attention, and expand your market. Praise for The Best American Infographics "Represent[s] the full spectrum of the genre--from authoritative to playful." --Scientific American "Not only is it a thing of beauty, it's also a good read, with thoughtful explanations of each winning graphic." --Nature "Information, in its raw form, can overwhelm us. Finding the visual form of data can simplify this deluge into pearls of understanding." --Kim Rees, Periscopic The most creative and effective data visualizations from the past year, edited by Brain Pickings creator Maria Popova The rise of infographics across nearly all print and electronic media--from a graphic illuminating the tweets of the women of Isis to a memorable depiction of the national geography of beer--reveals patterns in our lives and the world in often startling ways. The Best American Infographics 2015 showcases visualizations from the worlds of politics, social issues, health, sports, arts and culture, and more. From an elegant graphic comparison of first sentences in classic novels to a startling illustration of the world's deadliest animals, "You'll come away with more than your share of . . . mind-bending moments--and a wide-ranging view of what infographics can do" (Harvard Business Review). "This is what information design does at its best - it gives pause, makes visible the unsuspected yet significant invisibilia of life, and by astonishing us into mobilization, it catapults us toward one of the greatest feats of human courage: the act of changing one's mind." --from the Introduction by Maria Popova Guest introducer MARIA POPOVA is the one-woman curation machine behind Brain Pickings, a cross-disciplinary blog showcasing content that makes people smarter. She has more than half a million monthly readers and over 480,000 Twitter followers. Popova is an MIT Futures of Entertainment Fellow and has written for the New York Times, Atlantic, Wired UK, GOOD Magazine, The Huffington Post, and the Nieman Journalism Lab. Series editor GARETH COOK is a Pulitzer Prize-winning journalist, a contributor to the New York Times Magazine, and the editor of Mind Matters, Scientific American's neuroscience blog. He helped invent the Boston Globe's Sunday Ideas section and served as its editor from 2007 to 2011. His work has also appeared in NewYorker.com, WIRED, Scientific American, and The Best American Science and Nature Writing. Designed for librarians who work with all age levels from youngsters to seniors at all educational, reading and language backgrounds, who must fulfill responsibilities that run the gamut from instructing patrons on information literacy skills to using electronic tools to marketing the library to locating funding, Infographics: A Practical Guide for Librarians provides librarians with the following: -Section I: Infographics 101 contains definitions, history, importance in today's society, types and examples, advantages and disadvantages, general uses, uses in libraries, tools for creation and design tips. -Section II: Practical applications show how to use infographics in academic, public, special and school libraries. 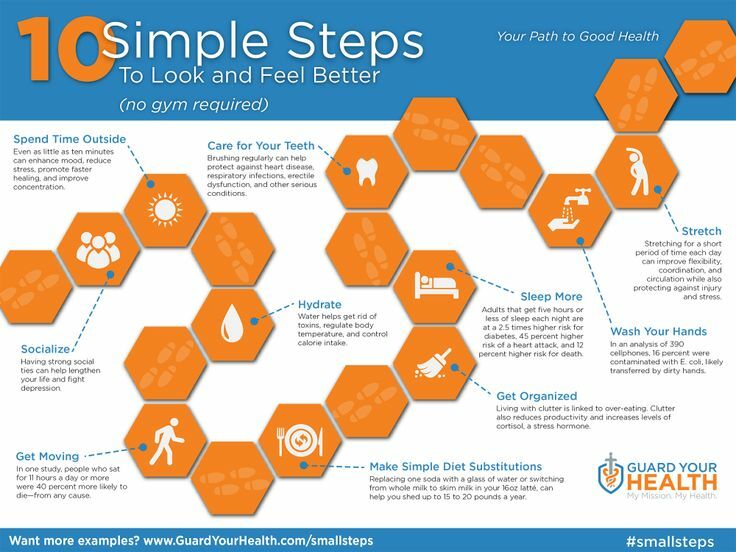 Included are visual examples and step-by-step instructions to create two infographics Included in each section are exercises, tables with URLs to more ideas and materials and references. This practical guide will help every type and size of library use infographics as a powerful part in their 21st century game plan. Whether it's marketing the public library, improving students information literacy skills in a school library or showcasing the accomplishments of the academic library, infographics can be a vital part of the library's playbook. The book describes ways to use infographics to: -raise funds for a public library -teach critical thinking and 21st century skills in the school library -illustrate why libraries matter by relaying value of academic libraries -market the library -improve information literacy in academic settings -advocate for resources and services. We are living in a golden age of data visualization, in which designers are responding to the information overload of our digital era with astonishing feats of visual thinking. Using a wide variety of techniques, they transform complex ideas into clear, engaging, and memorable infographics. In recent years, books and websites have been collecting the field's best. While stimulating, these finished projects offer little insight into how visual solutions were reached, making them of limited use to designers wanting to produce work of their own. InInfographic Designers' Sketchbooks, more than fifty of the world's leading graphic designers and illustrators open up their private sketchbooks to offer a rare glimpse of their creative processes. Emphasizing idea-generating methods--from doodles and drawings to three-dimensional and digital mock-ups--this revelatory collection is the first to go inside designers' studios to reveal the art and craft behind infographic design. Remember, a good infographic is a balanced combination of info and graphics, so avoid using too much text. Stay on topic and be sure to cite your sources. More best practices can be found in the infographic below. See also: 10 Tips for Creating Wildly Successful Infographics.